This coffee will be fresh roasted for you. 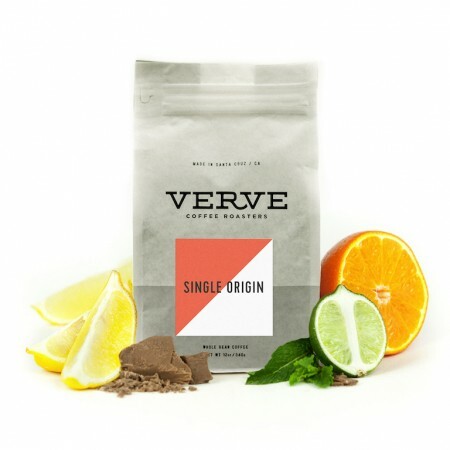 We expect Verve Coffee Roasters will roast and ship this coffee in 1-2 business days depending on their roasting schedule. The Ethiopia Yukro was carefully roasted for you by Verve Coffee Roasters. This fully washed coffee was grown by the Yukro Cooperative in the Gera Woreda region of Ethiopia between 1,900 - 2,100 meters above sea level. We love this coffee for it's its floral aroma and bright citrusy acidity. Great cup of coffee. Very bright and juicy. Exactly what I like to see from an Ethiopia. I tasted floral notes and citric acidity in the cup. This coffee was definitely different from the other Ethiopians I have tried this year. I'm typically into the naturals and really berry forward coffee so this was a different and surprising treat. As soon as I ground this up I could smell the fruity and floral notes. The tasting notes were really accurate and delicious. Noticed that as the coffee was about a week and half or 2 weeks off roast that the lilac floral note went away and it was straight citrus. A unique but super solid coffee overall. I enjoyed this coffee quite a bit. In my experience it had a tea like quality to it. The description was given for this coffee was pretty accurate. I typically like fruit bomb coffees, but I don't have any complaints about this one. Definitely a solid coffee. The note of lilac was spot on. I'd recommend this coffee if you're a fan of lighter, floral coffees. I've been across the spectrum trying to find an Ethiopian that hit the spot the year and it's been a tough journey. This coffee is lovely in its own right, nice floral aromas and a clean perky cup that has a brilliant acidity. I am great with a cup but I would hesitate to have a second as the brighter, crispier notes of lilac are not ones I would pursue in frequency. Having said that... This is a stellar coffee and one your should seek out in a deliberate fashion.